Ever since the introduction of its NEX system, Sony has been spoiling its users with diminutively sized cameras that, on their own, put many a Micro Four Thirds offering to shame in terms of sheer dimensions. However, most E-mount lenses – particularly the zooms – have come in for a lot of criticism for being oversized for these tiny camera bodies. Enter the Sony 16-50mm f/3.5-5.6 PZ OSS – an image stabilised power zoom that covers a 35mm equivalent focal range of 24-75mm yet collapses down to a size reminiscent of pancake lenses. In many ways, this is the lens many Sony NEX users have been waiting for. It's small, lightweight, easy to operate and commendably fast to focus. And it even has optical image stabilisation - a big plus given that Sony's E-mount cameras tend not to feature a sensor-shift anti-shake mechanism. Given all the compromises inherent in the design of such a lens, my expectations regarding the optical quality of the Sony E 16-50mm power zoom have not been very high. In terms of sharpness, the lens exceeded these expectations. In the central areas of the frame, the lens delivers good to very good sharpness throughout its entire zoom range. The border areas are admittedly more problematic but you'll have to make a fairly big print – certainly beyond A4 size – to start noticing the deficiencies. In other areas, the lens exhibits more problems: corner shading in particular is pretty bad, and distortion is very high at the 16mm setting (though you have to shoot raw with the NEX-6 to actually see this, as the JPEG engine of that camera does a splendid job of eliminating the issue). Some chromatic aberration is also visible but in this respect, the Sony E 16-50mm OSS is no worse than a typical kit zoom. The lens' close-up performance is better than advertised, even though it is certainly not a macro lens. 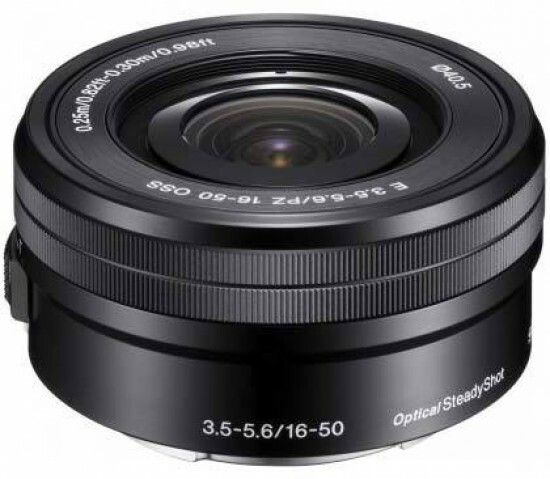 The main strength of the Sony E 16-50mm f3.5-5.6 PZ OSS lens thus lies in its portability and better-than-expected – although by no means record-breaking – sharpness. For non-critical applications and everyday use; it's certainly an adequate lens that matches any NEX system camera well while providing an eminently useful focal range in a truly small package.